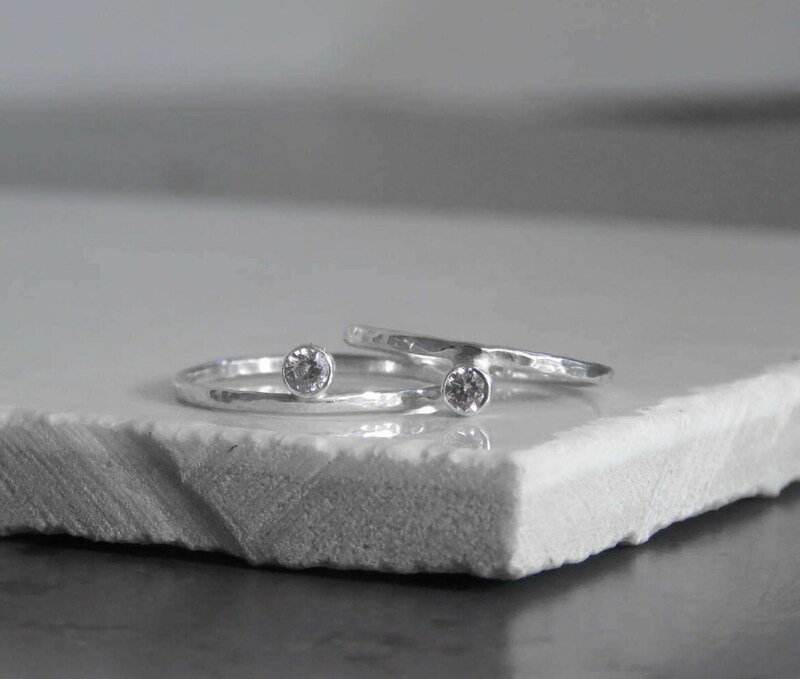 A beautifully delicate sterling silver ring featuring a brilliant white Cubic Zirconia. For additional detail, the band of this minimalist design is lightly textured. The Radiance Ring looks gorgeous when worn alone or teamed with other stacking rings. Handmade in London, UK. We send all of our items 2nd Class, recorded delivery via the Royal Mail. We ship this item within 3-5 business days. * If you urgently require this design please contact us and hopefully we can assist you. All items are sent in a complimentary jewellery box or pouch.